Just like adults and older children, toddlers and babies are vulnerable to a myriad of dental issues. However, unlike other dental patients, small children and babies have not developed all of their teeth yet. 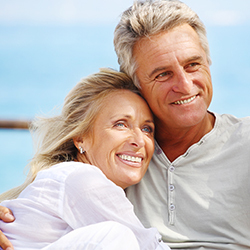 The development stage of your teeth is vital to your dental health throughout your life. Without the proper care early on, your child may be faced with oral problems later in their life. For instance, a pediatric dentist specializes in pediatric care. This means that they are specialists that can educate you, identify dental issues, and predict future dental problems for your child. Because small children are fragile, sensitive, and in the early developmental stages, they are vulnerable to many dental issues, like teeth misalignments, overbites, and tooth decay. A pediatric dentist will be able to identify problems in your child’s teeth development and offer you ways to improve their dental health. Not only that but pediatric dentists specialize in infant tooth development, so they will be able to inform you of what behaviors may be diminishing the quality of your child’s teeth. All of these behaviors have the potential to push your child’s teeth forward, causing teeth misalignments and overbites. Your pediatric dentist can offer you ways to help divert your child from needing to use their thumb or a pacifier. This way, you can rest easy knowing that your child won’t be dependent on objects to calm them down; you’ll also protect their teeth. Poor bottle feeding techniques offer more serious dental issues for your child, which is why a pediatric dentist can be beneficial. For instance, your child’s dentist will be able to clearly see if they are at risk for dental decay or other dental conditions. Bottle Tooth Decay is a form of dental decay that is prevalent in young children, from infancy to about two years old. Of course, tooth decay can affect anyone from any age. Obviously, you do not want your child to get tooth decay. However, identifying how the condition occurs is the first step to ensure that it doesn’t affect your child. The decay typically occurs when sugar deposits are left on your child’s teeth. This can happen after regular feedings, such as drinking milk, formula, and even fruit juice. All of these items have bits of sugar in them that are necessary to nourish your child. At the same time, if these sugars are left to bind to your child’s teeth, it could lead to problems down the road. Specifically, when sugars are attached to your child’s teeth, or in the sockets where the teeth are growing in, bacteria begin to mix with the sugar deposits. Together, the bacteria and sugar molecules form an acidic substance that eats away at your child’s teeth and dental sockets. What is so troublesome about this form of decay is that children do not always know how to communicate when something is wrong or, more specifically, where something is wrong. By scheduling appointments with a family dentist, you can have a professional examine your child’s teeth for irregularities. 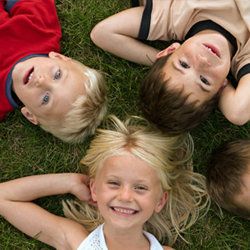 A family dentist is able to give your little one, as well as the rest of your family, top-quality care. As a family dentist, professionals must know and understand the stages of teeth from infancy to the elderly. 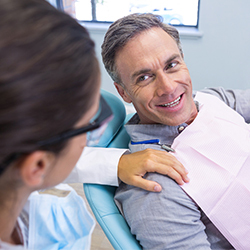 Our local Silver Spring dentists have the expertise you are looking for in order to give your family quality dental care. 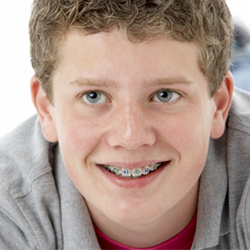 Our practice is able to help treat and advise you on the proper practices to ensure your child’s healthy smile. Our family dentist will also be able to help instruct you on future dental practices that could help perfect your child’s teeth in the future. If you are interested in improving your child’s dental health, as well as staying on top of their dental development, scheduling with a practicing pediatric dentist is ideal.